Our ship docked at the new port of Mykonos. The cruise ship gave us free bus transport to the Old Harbor or Skala. 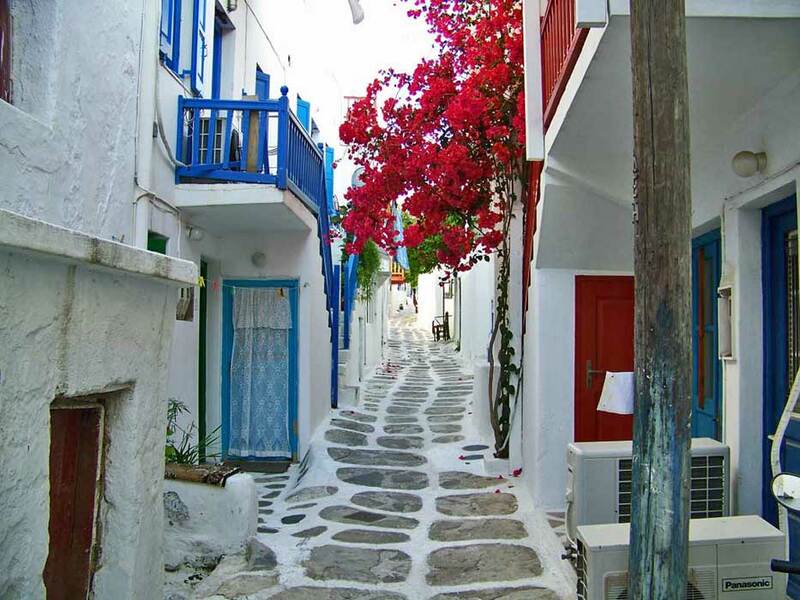 The main town of Mykonos is called the Chora, which means the town. From the harbor we made up our own self guided Mykonos Shore Excursion tour of the Chora. Since it is the only major town on the island of Mykonos, the town is often called Mykonos too. Some of the crew from our ship headed straight to lunch at a restaurant on the Old Harbour. 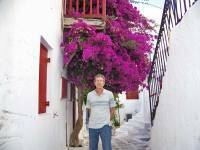 The crew said it was the best food in the Aegean Islands. 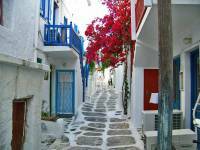 The Chora of Mykonos was quaint with numerous white-washed buildings and narrow streets in a tangle that was fun to wander. The fishing houses at the ocean edge at the spot called Little Venice was a highlight of our Mykonos shore excursion. 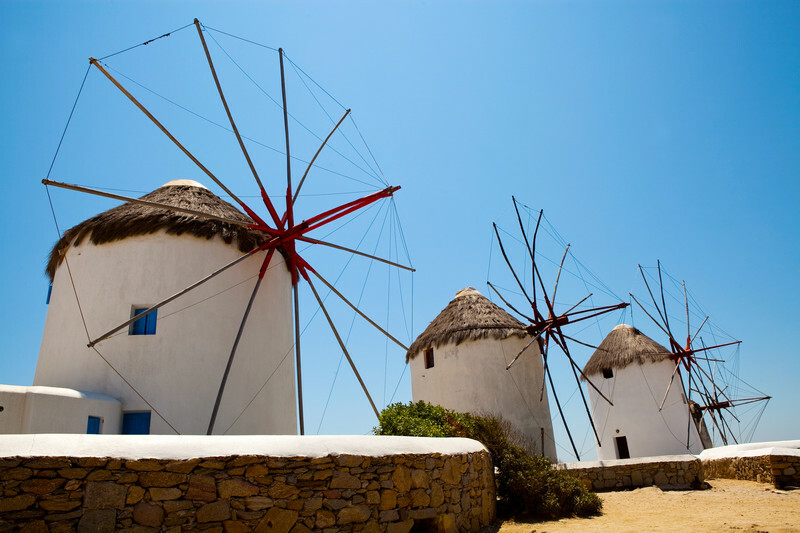 The windmills at the edge of town were picturesque. The windmills were hard to get in a photo, because of all the other tourists taking snap shots. 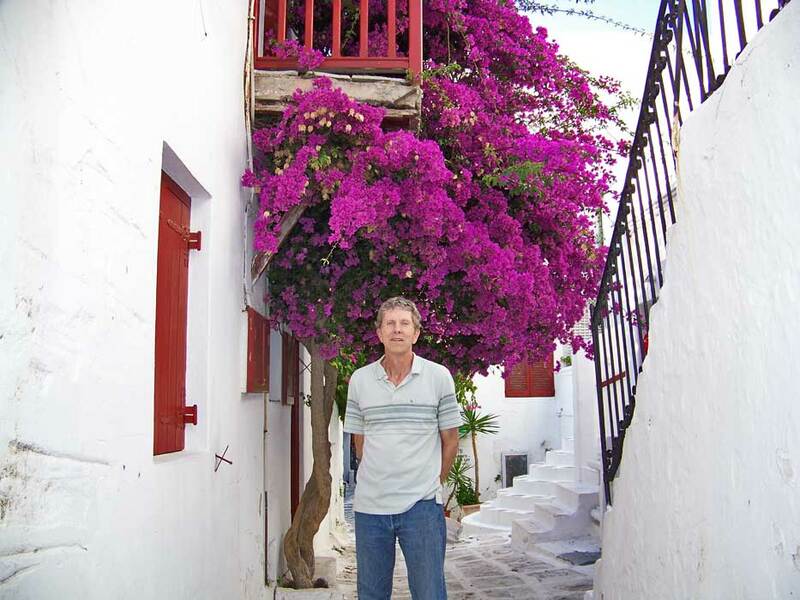 We continued our Mykonos Shore Excursion by searching for Petros the Pelican in the narrow lanes of the Chora of Mykonos. I thought Petros the Pelican would turn out be a statute, but Petros ended up being a living pelican. Petros the Pelican was calmly resting on the ground at the intersection of a number of pathways. 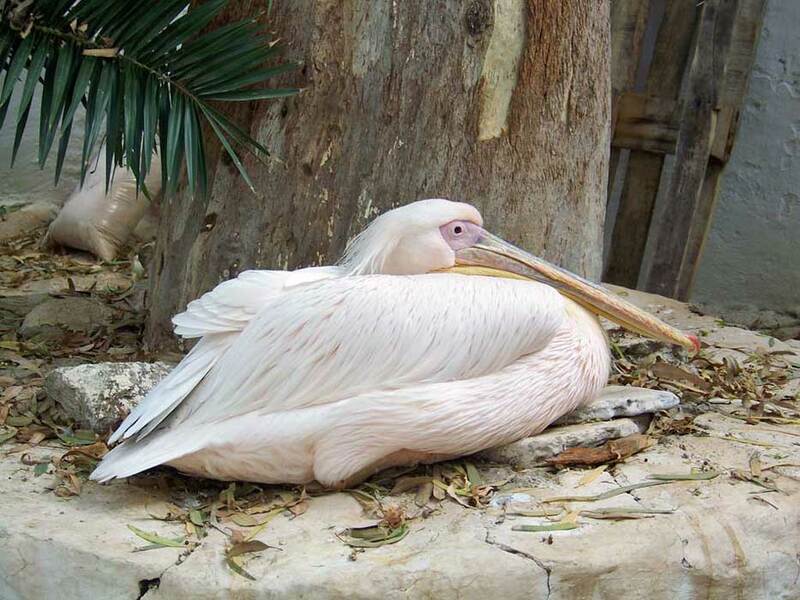 The pelican is a somewhat strange and very unique mascot for the city. We heard rumors there may be more than one Petros. 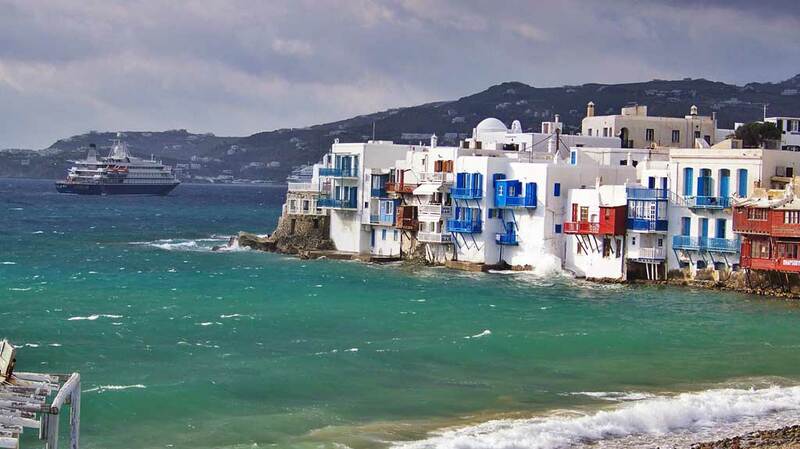 Mykonos is a high end tourist destination. 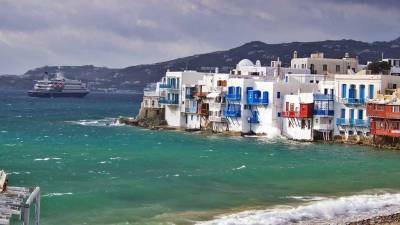 Meals at Mykonos restaurants are about 3 times the price of meals in mainland Greece. 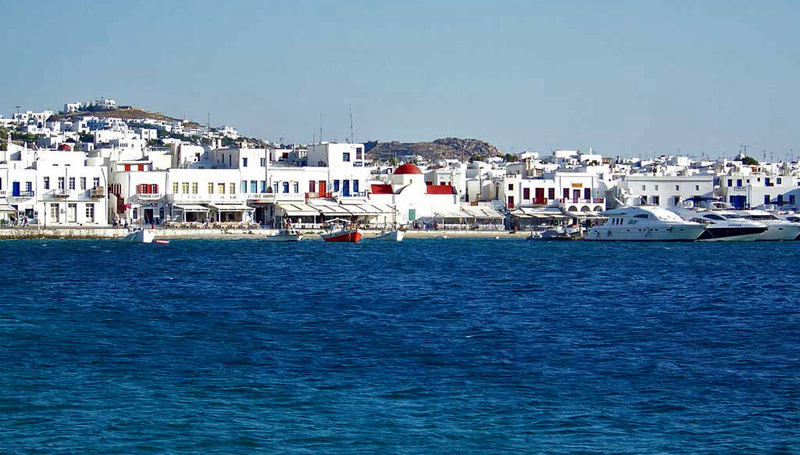 The town of Mykonos is more of a destination for wealthy long term vacationers than it is for cruise ship passengers. 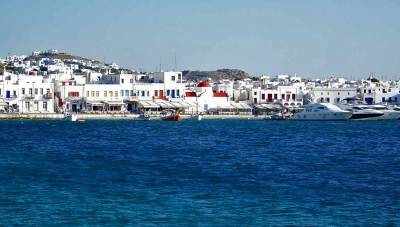 Head to the island of Delos if you prefer a shore excursion to the ancient Greek ruins in the birthplace of Apollo instead of a day spent shopping and dining.